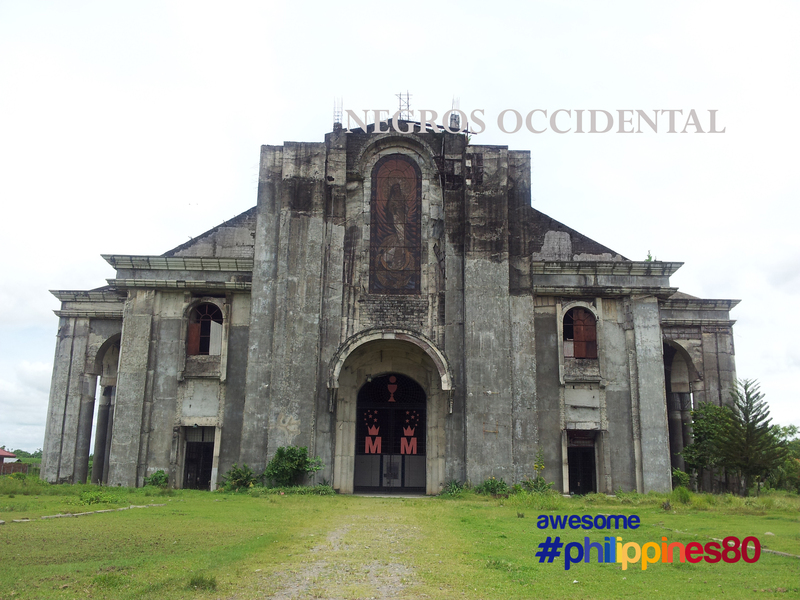 This is the huge Cathedral of Our Lady of the Immaculate Conception located in Canetown, Victorias. 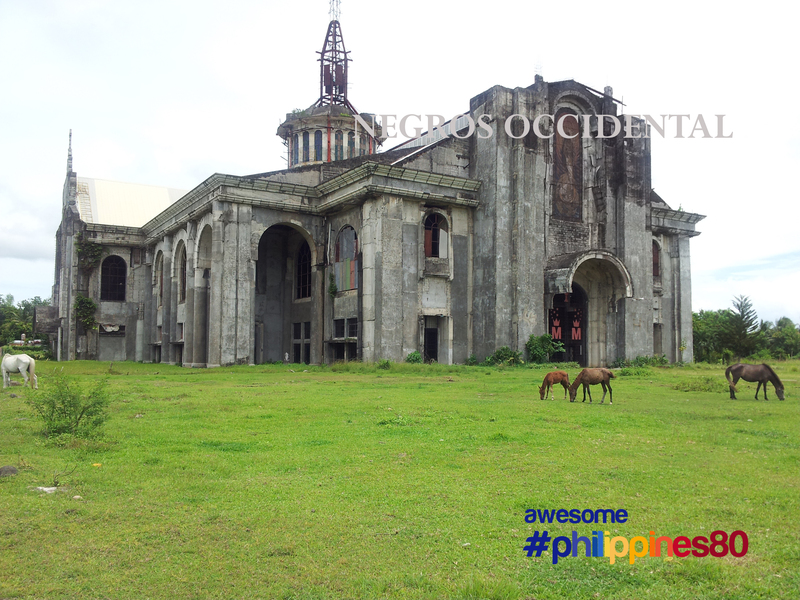 This cathedral is located within the compound of Victorias Integrated Sugar Milling Company. The cathedral is still unfinished. It’s construction started in mid-90s. Locals say that this is a “curse” church. The gigantic edifice has been commissioned by rich people who wanted to “buy heaven and salvation”. As a mater of fact, its construction was not approved by the Church authorities. The financiers of this huge structure wanted to prove that they can “buy Vatican” and name the church a “basilica” . They have built the edifice in such a grand scale that when finished, it is among the biggest churches in the country and could stand a massive earth quake and could last for hundreds of years. It is not difficult to believe so because its solid walls are 3 meters thick and its column are even more massive. And since God is not a materialistic God, the financiers of the church found themselves nowhere. They have lost their businesses and families. They have lost financial prowess. They were the victims of the economic turmoil that hit Victorias. And for those reasons, the church is still unfinished, never became a cathedral, never became a basilica and never dedicated to the Immaculate Conception. Interestingly, no one wanted to pour in money to finish its construction until today. No further efforts have been made to finish its construction after the economic turmoil that hit the area. Today, a Sunday mass is held in this church. People call it the Unfinished Cathedral of the Immaculate Conception. But in reality, it is never a cathedral as no archbishop or bishop has ever lived there. It is not even a Parish Church as it does not have its own parish priest and jurisdiction, it is not even a Barangay Chapel as the barangay has its own chapel. Today, it remains an edifice that reminds all of us that greed and material things aren’t tickets to heaven. From Bacolod City North Terminal, take a bus going to Victorias City or San Carlos and get off at Victorias Milling Company (VMC) junction. From the junction, take a tricycle going to the Unfinished Cathedral. wow really? an unfinished cathedral.. even if it’s not an actual church or parish, i think, like you said, this edifice makes a very wonderful addition to the province – for historical values and as a moral or spiritual reminder to all who sees it. yeap! this is one of its kind in the country. 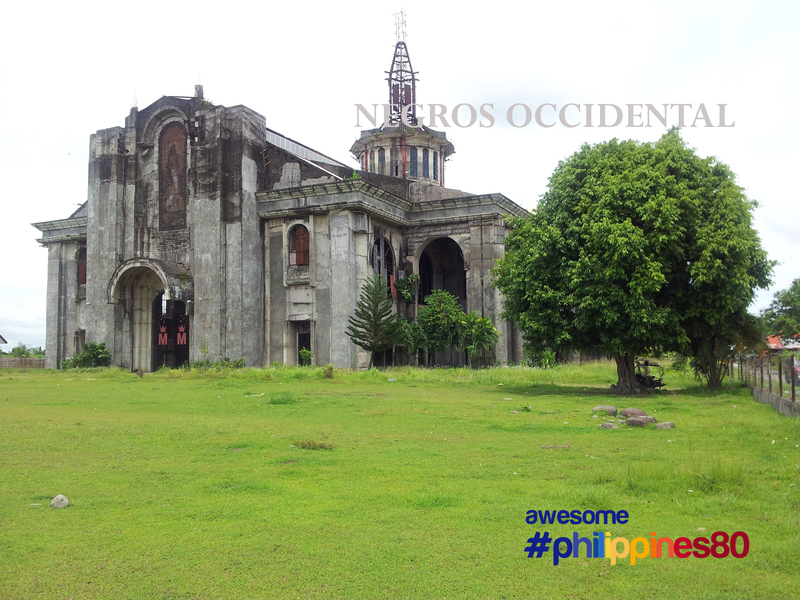 The Ruins in Talisay City was just a wasted edifice until people came to realize its cultural and historical value. This “unfinished” cathedral can be one like The Ruins. Demolishing it will just be a case of ” possible waste to total waste” since to do so will also cost a lot of money. i am pretty sure this one will not be demolished. imagine a solid wall as thick as 1 meter. well, only history will tell its value. I intended to compsoe you the bit of note to finally say thanks a lot yet again regarding the spectacular ideas you have discussed in this case. It was certainly wonderfully generous with people like you in giving without restraint all many people could possibly have marketed as an ebook to get some money for themselves, certainly since you could have done it if you considered necessary. These principles also acted as the good way to fully grasp many people have the same fervor similar to mine to know way more in terms of this issue. I think there are thousands of more enjoyable times in the future for many who go through your website. Obama could be the very clear beloved? Genuinely? With 43 mhtnos of In excess of 8% unemployment (even using the fishy official variety) which is much more than all 11 put up war presidents COMBINED? Aided by the Fed shooting its past bullet, QE forever, to test and stop a downturn Obama’s policies have worsened? With his Center East bow and scrape policies melting down like so many solar panels from bankrupt green energy companies he plugged? And Romney is TRAILING with seven weeks to go? At what, failure? Seriously, stop reading the phony media polls, get from your offices and go see what’s occurring sometime. I don’t think the rest on the place wants a further four years of this garbage. I believe Leandro’s post is not related to this subject of the unfinished cathedral. Nice reading the back story of the church but I’m sure it’s just a coincidence rather than a curse as it still should be a place of worship at the end of the day. It looks like a great architectural work though I hope one of these day someone or even the church try to finish this one but then again, it’s beautiful as it is. 3 meters solid wall is a sure earthquake beater. I hope they will finish the structure. 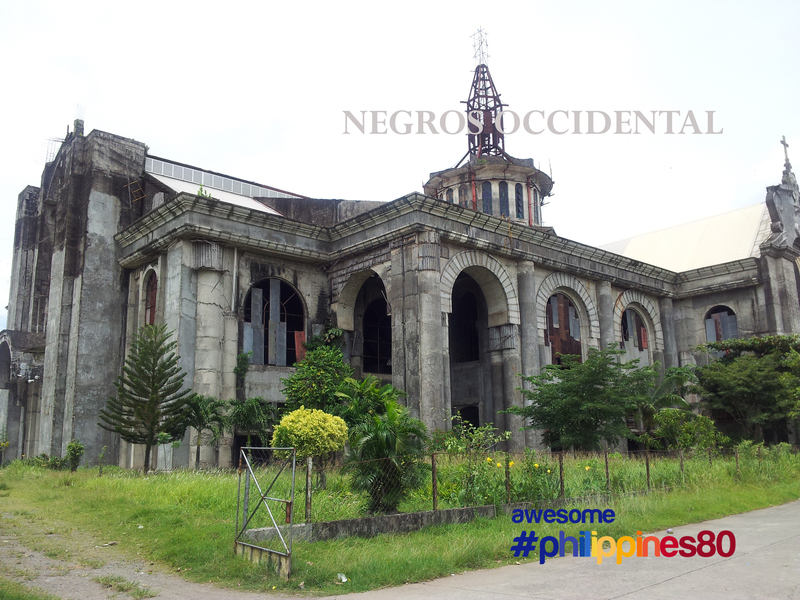 It can a be great landmark for Bacolod. Now, I’ve got to see this, if given the chance to go to Bacolod again. The last time I was there was sometime in 2004. 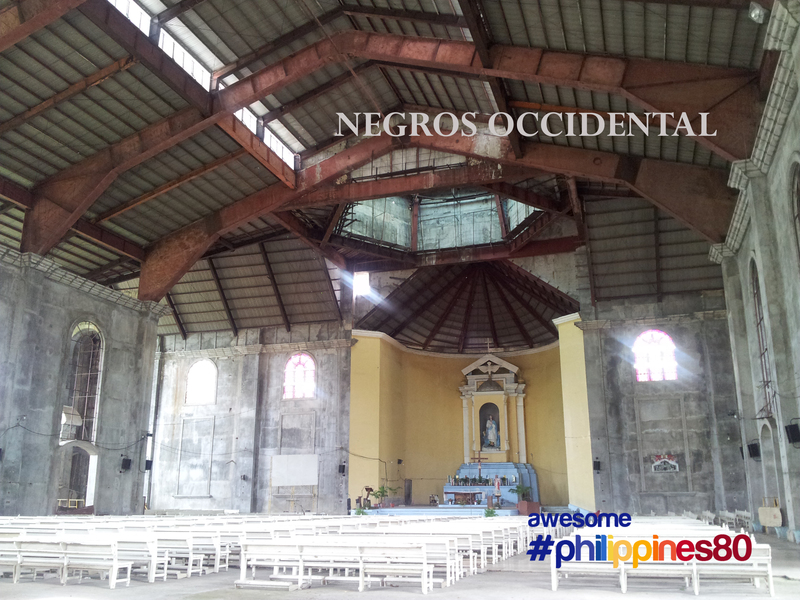 Surely there is a lot more in Negros. Really greenish surroundings. Looks enchanting too. Whoa, it’s a beautiful cathedral. Too bad it remained unfinished. How is this space maximized now? They should seriously continue its construction. I hope some people there can still raise the funds to finish this. There is no sense having such a beautiful looking edifice just be demolished. Calling it a curse is fatalistic. This is getting a two sheaks of a lamb’s pope’s more egoistic, but I much deposit the Zune Marketplace. The interface is colorful, has more gift, and some reasonable features like Mixview’ that lessen you speedily look upon coordinated albums, songs, or other users cognate to what you’re listening to. Clicking on selfsame of those intent center on that item, and another press rotten of neighbors desire appropriate for any into view, allowing you to manipulate neighbourhood exploring aside comparable artists, songs, or users. Speaking of users, the Zune Societal is also large elevated spirits, letting you arrest others with shared tastes and beautifying friends with them. You then can mark to a playlist created based on an composition of what all your friends are listening to, which is also enjoyable. Those top with retirement clear up be relieved to be versed you can obviate the visible from seeing your close listening habits if you so choose. My wife and I together with our Catechist group from Dasmarinas, Cavite visited this church last December 7, 2013. There was a big event there, the first holy communion for so many children of the community. So many people attended the mass and the ceremony. I even met my fellow Knights of Columbus there and Father Jomar, himself. I am sure it will not be a “coral ng baka” anymore. Truly, God works in His mysterious ways!!! Does Iloilo belong to Visayas? it is the only place I visited in that middle part of the Philippines. I hope one day I can visit Bacolod and Cebu. I have read and seen too much glorious photos! Yes Iloilo is just a ferryboat away from Bacolod..Its a nice ferryboat ride too. 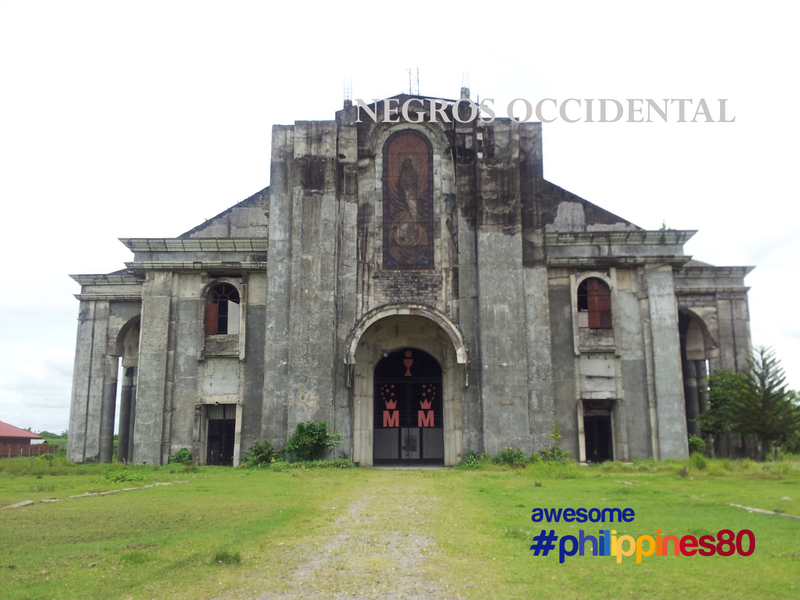 Do come and visit Negros Island. I was actually here last year and at that time a wedding ceremony’s happening. I would have wanted to stay in Bacolod a little bit longer but due to time constraints I just spent little time with the city of smiles. Was the wedding held in this unfinished church building? Our travel group was here last November. We enjoyed the church and the food. Will definitely come back with the family. food in victorias? which resto there? I will be going to Bacolod next year. I will try to see this place too. Interesting story and if it’s true I am sad because a church should be a place of worship and not as status symbol. My mom’s from Bacolod, but it’s been a while since I’ve last visited the province 🙂 Anyway, thank you for sharing this and I hope you had a wonderful Christmas. May you and your family have good health and prosperity this 2013. 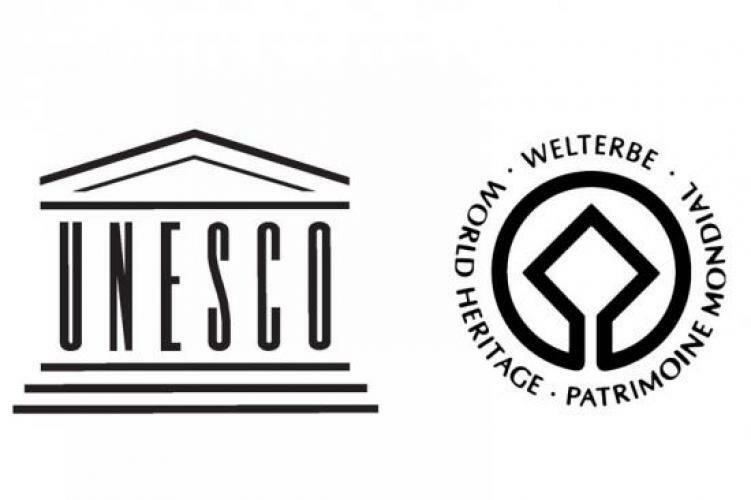 It’s sad to learn this edifice is viewed as “cursed” by some people. But good always triumphs over evil. Given that this structure could have started wrongly, there is no reason why it couldn’t be continued today by people or Catholics with the purest intentions of doing it for the glory of God. I believe the construction could not proceed more due to legal matters such as ownership and/or political reasons. We are visiting Victorias City on Dec 8 which is the feast of the Immaculate Conception and I would surely want to visit this place and attend the mass, if given the opportunity. Mass here is held every sunday only. Yes, you’ll enjoy its rustic beauty. On the other hand, I suppose the Diocese of Bacolod or the people here wont continue this anymore as its construction was “personal” and was never under the approval and supervision of the church. Hence, the budgeting, engineering, etc was solely on the persons who put this up. And since their business went downhill, they no longer have resources to continue it. If the Diocese of Bacolod will continue it, i think they dont have the authority as this is a private property. May I know what time are the Sunday masses held and is there a special mass every Dec. 8? As I said in my comment, the snag will be mainly due to legal matters. There was a similar experience in Laguna where the church is located in a subdivision and there was a bitter rivalry between factions of the homeowners that even the bishop was charged in court when the diocese tried to intervene. Of course, it took years but in the end, the church was constructed and it is now one of the most beautiful church and successful parish in Laguna. God prevails and as I said, good triumphs over evil. Finally I was able to visit the unfinished cathedral last Dec 7, 2013. I was overwhelmed with its size. It was really huge. Also, it was a good sign that there was a First Holy Communion ceremony for so many kids when we were there. Got to meet Fr. Jomar and my brother Knights. It is an indication that somehow, sometime in the future, this church will be completed…in God’s time. wow. nice to hear that richard! I had a dinner with Engr. Lito Tanutan last December 2015. He is from Victorias. He mentioned that the “Cathedral” is being constructed gradually. This means it was not totally abandoned after all. God will provide. Completion will be in His time. Preceding comment was from me. Can anyone from Canetown or VMC update me. I would like to visit the church again. Judging from the design of the altar, it seems like the plan for the church is pre-war and that construction just followed on a later date. 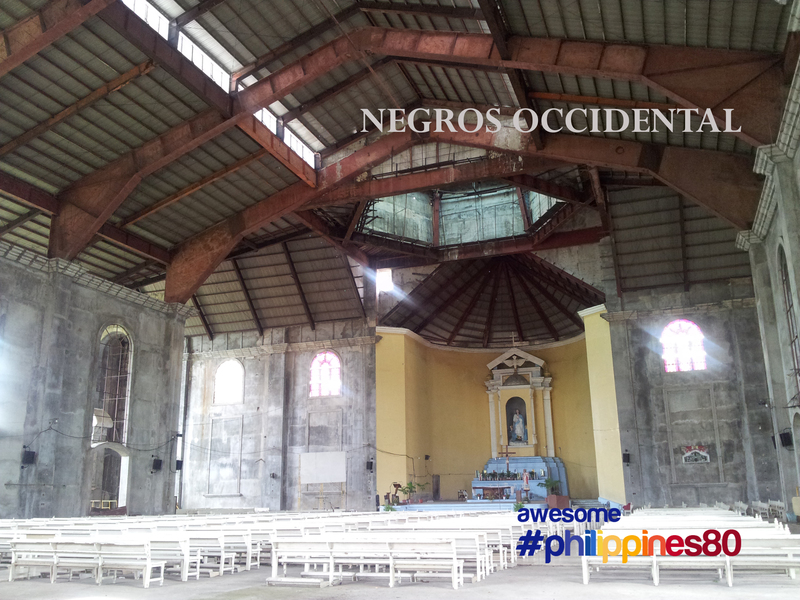 The church hews closely to a design by Dante Guidetti of a church to be built in Negros. Guidetti was an Italian artist/sculptor who resided in Cebu before Word War II.